Honeywell proximity sensors provide sensor status through third output for reliable operation in aerospace applications. Aerco is now stocking Honeywell’s IHM Series Aerospace Proximity Sensors, which boast indirect lightning and dielectric ruggedness plus enhanced vibration and EMI specifications to meet challenging applications found in today’s composite aircraft. Highly accurate and reliable, Honeywell IHM Series Aerospace Proximity Sensors are non-contact devices designed to sense the presence or absence of a target, providing on/off output, plus they can also be configured with an optional health monitoring output to the host system. 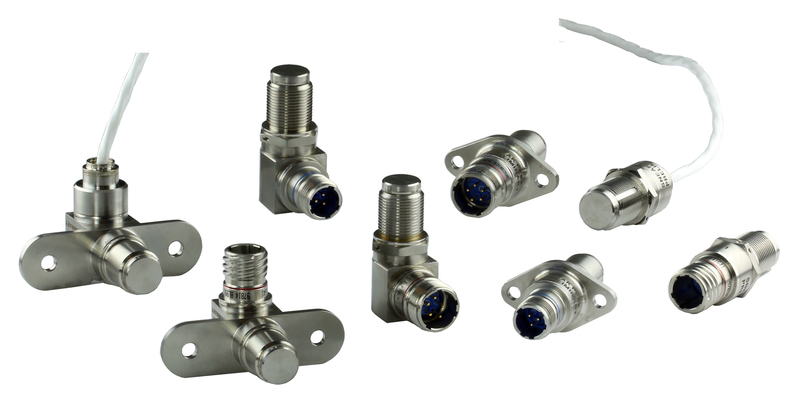 Honeywell IHM Series Proximity Sensors have a hermetically-sealed, all-welded stainless steel construction for exceptional robustness and durability in harsh environments, eliminating any potential for contamination. Due to their non-contact design technology, Honeywell IHM Series Proximity Sensors detect the presence or absence of a target regardless of the often very dirty conditions in which they operate, thereby eliminating mechanical failure mechanisms, increasing revenue and reducing maintenance costs by increasing Mean Time Between Failures (MTBFs) and so minimising downtime. A further feature of the IHM Series Sensors is the optional third output state to indicate the health of the sensor (whether operating optimally or failed), which again reduces maintenance time and delayed flights, helping to lower overall maintenance costs across the lifetime of the aircraft. Honeywell has over 30 years’ experience designing proximity sensors for military and commercial aircraft, and designed the IHM Series with its patented FAVCO (Fixed Amplitude Variable Current Oscillator) technology circuit. The sensor is considered an improvement on traditional ECKO (Eddy Current Killed Oscillator) topology, which was the previous standard for aerospace applications. Honeywell IHM Series Aerospace Proximity Sensors detect and display a greater percentage of internal failure modes than competitive products. Examples of suitable aircraft applications include: status of doors (open/closed/locked); cargo loading latch detection (pallet locked); evacuation slide door-lock mechanism (correct actuation); flight controls (flap and slat skew/position and spoiler position); landing gear (uplock, downlock and Weight on Wheels) and Thrust Reverser Actuation System (TRAS) (stowed or deployed status).